Banking app makes mobile bank transactions possible. A new solution can now help banks provide easy online and mobile banking services to retail and business customers via the Web, mobile phone and tablet computer. SunGard, one of the world's leading software and technology services companies, has launched Ambit MyMoney, an integrated online and mobile banking platform, to help banks capitalize on the increasing global adoption of ‘smart’ mobile devices by creating a consistent and customizable mobile banking experience. Ambit MyMoney includes out-of-the-box integration to social networking sites like Facebook and Twitter and offers greater social visibility for banks through a feature that allows customers to ‘follow’ via the bank’s own Facebook and Twitter sites. Customers can also ‘like’ the bank’s products and services, and choose to receive alerts and notifications via these channels, thereby extending bank-to-customer communication beyond existing SMS or email channels. SunGard's Ambit is a banking solution suite for retail, commercial and private banks. It provides banking professionals with solutions that support front, middle- and back-office operations, as well as solutions for financial management, risk and performance. Ambit helps banks retain and acquire customers, improve staff efficiency and effectively measure and allocate their capital. The solution’s personal financial management (PFM) tools help bank customers share financial savings goals via social media with selected friend groups. The tools also include modules for secure feedback and a centralized message center that is accessible across all channels. [related|post]The Ambit MyMoney multi-channel platform provides retail customers online and mobile access to a broad set of secure financial and non-financial transactions, all of which integrate in real time to the bank’s transactional and operational systems. 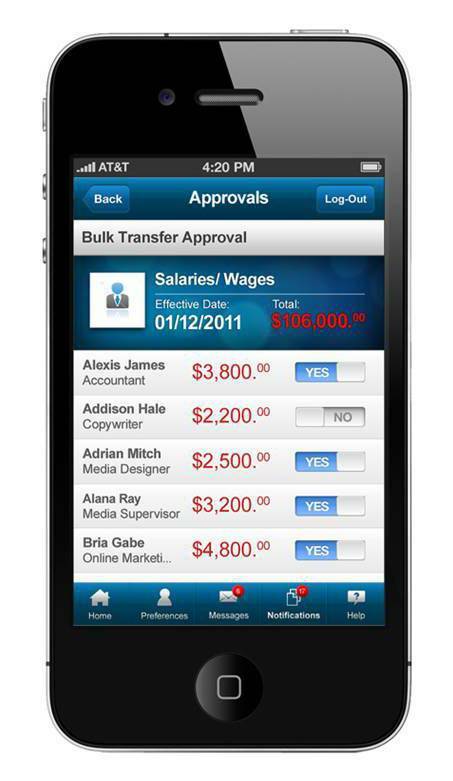 For business customers, Ambit MyMoney’s cash management capabilities can help them better track and manage their finances while on-the-go, through tools such as role-based authority for users, variable limits, batch payments, salary payments and maker-checker features with multiple levels of approval. Ambit MyMoney is customizable at the platform level and on an individual user basis, and includes widgets such as FX rates, news feeds and goal planners, which can be configured on the customer’s dashboard. Ambit MyMoney’s built-in business process management (BPM) engine helps banks ensure a consistent and uniform experience regardless of channel and helps the bank measure, monitor and pro-actively manage service levels.